Dhokla is a popular Gujarati snack item. 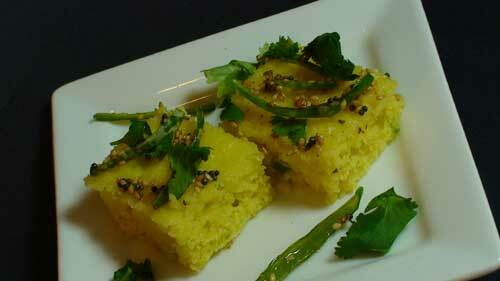 The traditional dhokla recipe requires soaking and grinding rice and daal as well as a few hours of fermentation. If you don't have the time for such an elaborate recipe, here is an instant version of the dhokla recipe made with sooji (suji, semolina or cream of wheat).